The GOAT! 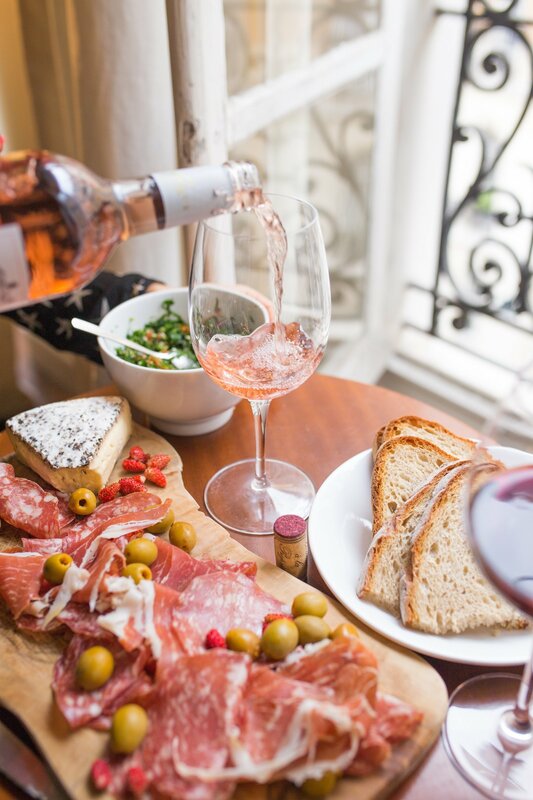 This week I wanted to share some game wining Super Bowl recipes and since the New England Patriots are headed to the big game (again) I thought I’d share something extra delicious. This appetizer is named the GOAT after my fave, Tom Brady! 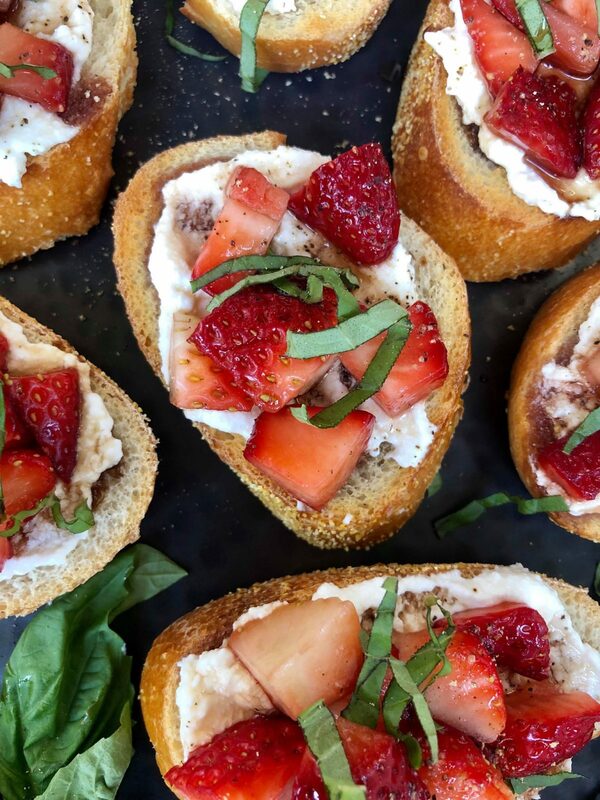 Crispy bread is topped with a creamy goat cheese, and strawberries cooked in a balsamic reduction. Top with a little basil for garnish. I’ve been eating so many strawberries this season since they’re so fresh and vibrant in Florida. 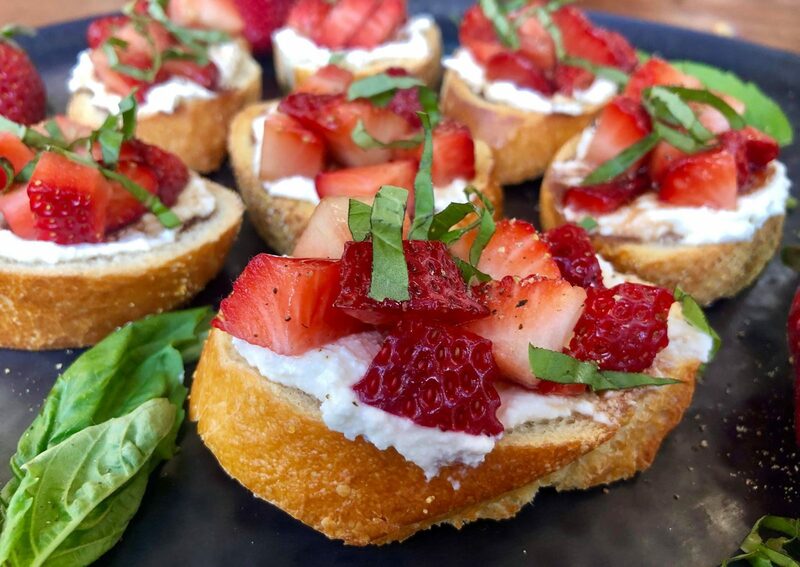 They pair wonderfully with the goat cheese and the balsamic reduction really brings out the flavors. If you’ve never had balsamic reduction before it has little in common with balsamic vinegar. It’s a thick, sweet syrup with just a hint of sour. You can make it yourself, or just buy it at the store. This recipe is a little bit more gourmet than your typical game day faire, but it is a very quick and easy recipe to make for even the most novice of chefs. Arrange baguette slices on a baking sheet and brush with olive oil. Toast under broiler, watching closely and rotating pan as needed for even browning, about 2-3 minutes total. Let bread cool a bit, then spread evenly with goat cheese. 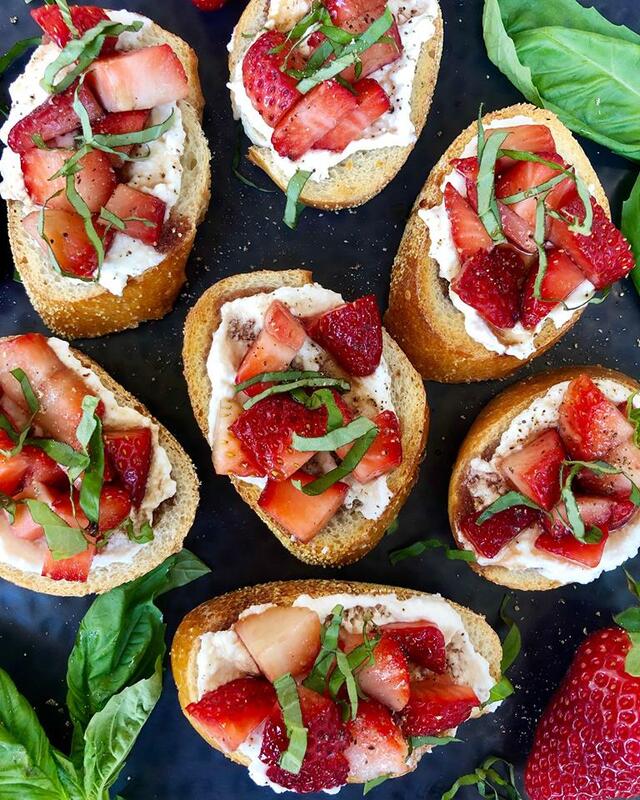 Arrange strawberry pieces over top, drizzle with balsamic reduction, and sprinkle with basil leaves.